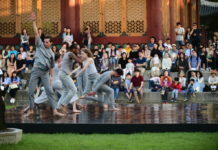 For the closing program of the 2015 season, Ballet West has chosen to highlight the developing works of young choreographers—mostly from their own core dance troupe. 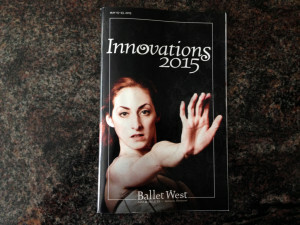 As it has for the past eight seasons, Innovations—Ballet West’s new works program—takes the stage at the Rose Wagner Performing Arts Center. Ticket holders can expect emotional introspection as well cutting-edge choreography in each of the five movements, including three original works created by Ballet West dancers. Additionally, four of the five pieces performed made their world premiere on opening night, Friday, May 15. 2015. 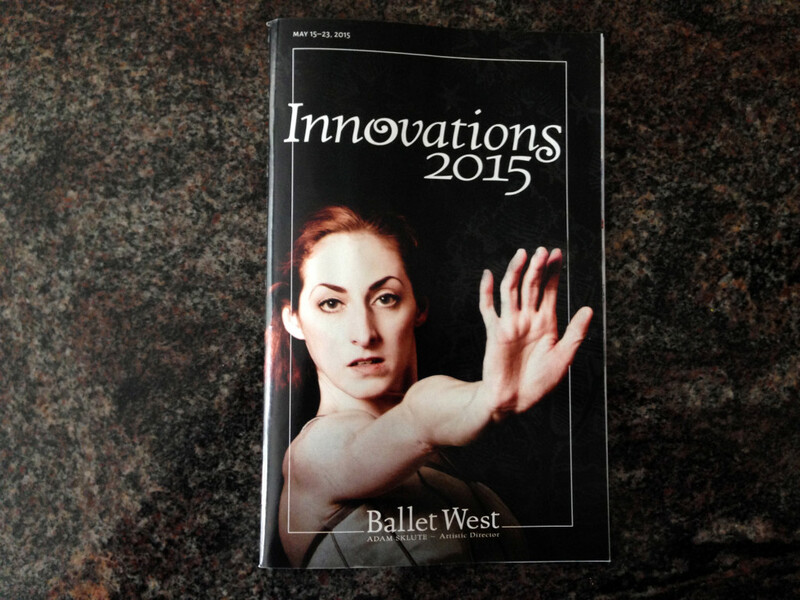 Innovations 2015 begins with newly-named Principal dancer Emily Adams’ Homage. 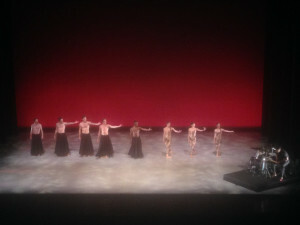 As her first full-act commission, Adams was inspired to create the ballet after viewing Salvador Dali’s sculpture “Homage to Terpsichore.” Soloists Beckanne Sisk and Sayaka Ohtaki, along with their cast, powerfully interpret the complexity of human nature—examining the trusting, harmonious and creative sides of ourselves in addition to the destructive. The costuming of this act juxtaposes the competing natures beautifully. Sisk represents the more polished and graceful aspects in a flowing, peachy/pink floor-length skirt while Sayaka echoes the more raw and base elements of our personalities in a dark unitard. First Soloist Adrian Fry presents his second short work for Innovations with Pulse. Inspired by a Google commercial, Pulse is an exploration of the physical and emotional aspects of the human heart. Just four artists—Allison DeBona (Soloist), Chase O’Connell (Demi-soloist), Beckanne Sisk (Soloist), and Christopher Ruud (Principal)—wearing velvety red grace the stage for this exploration of physicality and will set to Antonin Dvorak’s String Quartet in F Major. 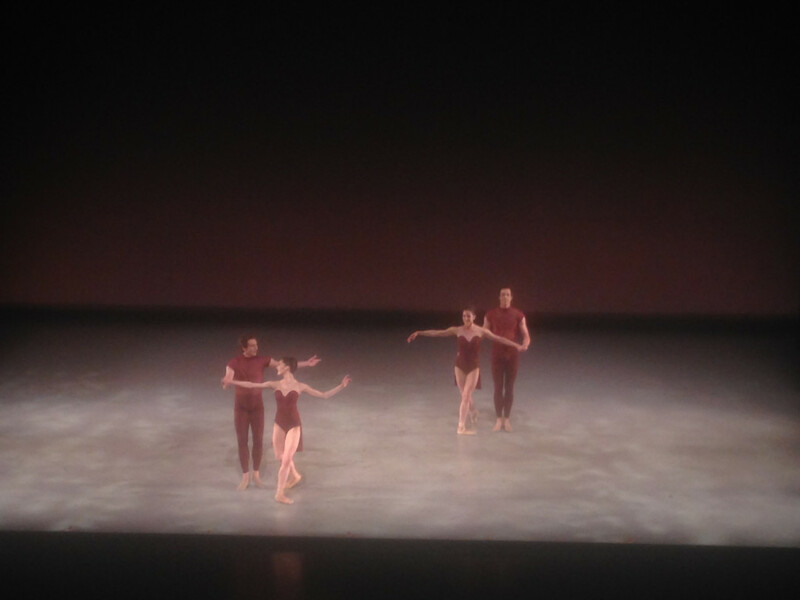 Rounding out the second act of the program is Resident Choreographer Nicolo Fonte’s Presto, which was commissioned for the 50th anniversary of Ballet West and only performed in Utah at Ballet West’s 2013 anniversary gala. Meant to represent ballet in the 21st century as a driving, athletic work, the costuming was at times distracting from the enlightened extensions and lifts of Principal Katherine Lawrence as well as First Soloists Jacqueline Straughan and Adrian Fry and Demi-soloist Alexander MacFarlan. 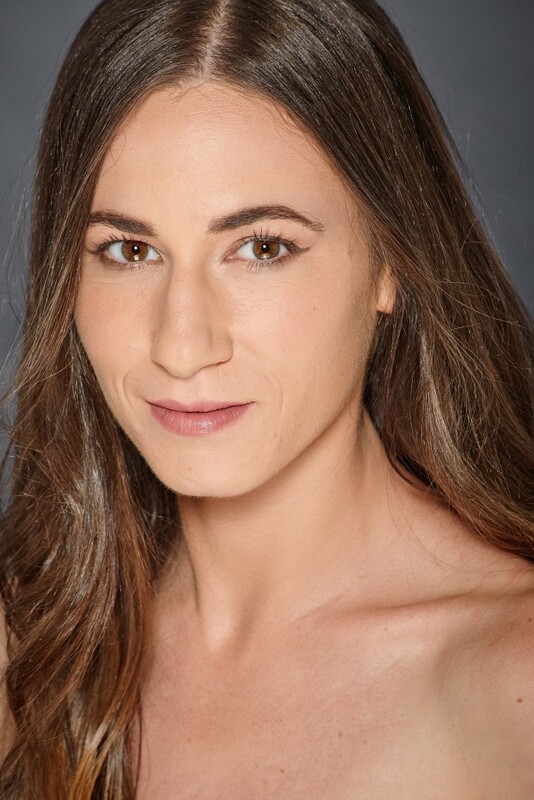 The Hunt is Ballet West Demi-soloist Katlyn Addison’s first choreographed piece for a large stage. The only portion of the evening to feature live music by drummer Cameron Hodges, The Hunt is primal and animalistic in its rhythmic representation of the drum and the heart. 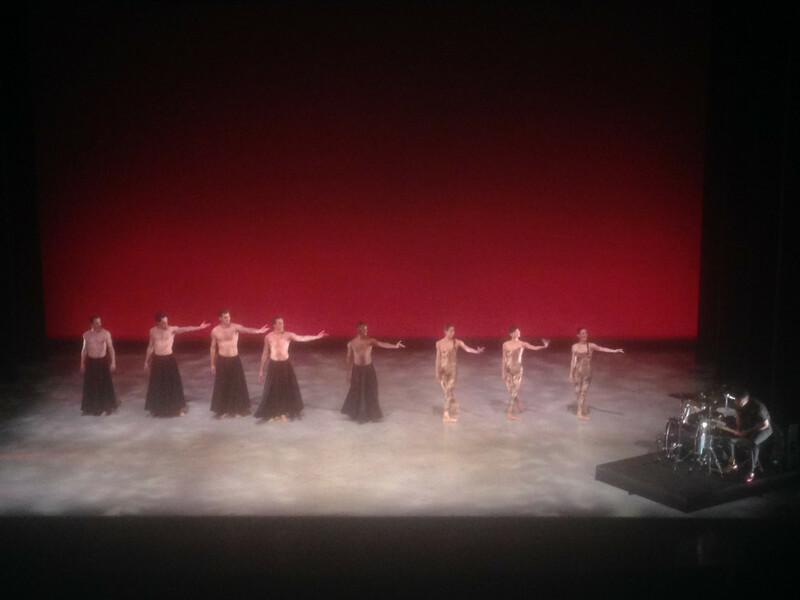 Five male dancers (First Soloists Beau Pearson and Christopher Sellars, Demi soloist Tyler Gum, and Artists Joshua Whitehead and Ronald Tilton) command the stage with bold, powerful movements while Ohtaki, DeBona and Principal Arolyn Williams dance with cat-like stealth. 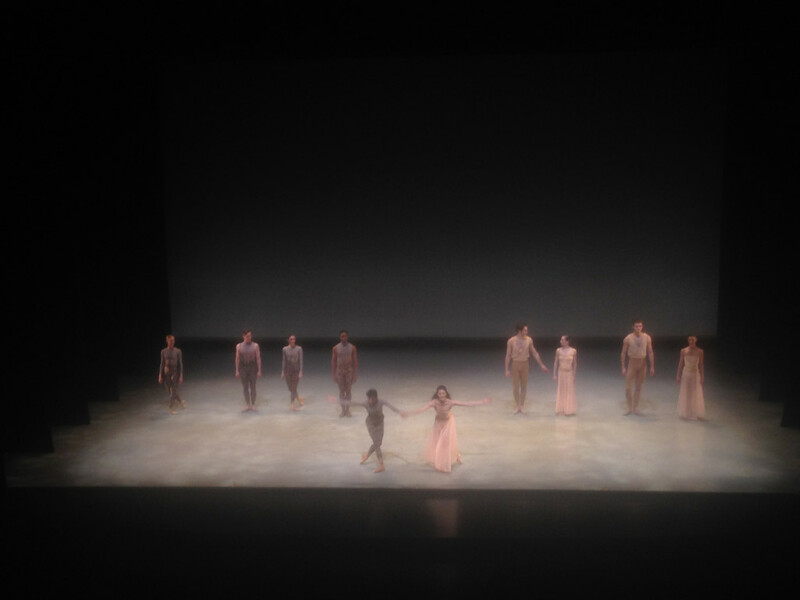 Closing the year-end program is emerging choreographer and Utah native, Garrett Smith’s Facades, a tribute to his sister which takes place within a giant Rococo picture frame. 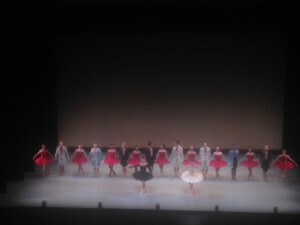 In her final appearance before retiring, Prima Ballerina Christiana Bennett dances her emotions in a fiery red corseted tutu—all while being mirrored by DeBona in black on the far side of the frame. Innovations 2015 continues at Capitol Theatre Wednesday-Sunday, May 20-23 with evening performances at 7:30 p.m. and a matinee performance at 2 p.m. Tickets can be purchased at ArtTix.org. To close the season, a Season Salute party will take place before the closing night performance on May 23 from 5:30 to 7 p.m. at Squatters Pub Brewery. The Salute will feature beers, beverages, and appetizers. Tickets are $35, and 100% of proceeds are tax deductible and go directly to support Ballet West. The brewery is located just across the street from Rose Wagner Theatre, so you can park just once and walk over to the performance after the party. Tickets are limited to 125 guests. Following the Saturday evening performance, the Rock the Rooftop Party gets hopping on the terrace of the Jessie Eccles Quinney Ballet Centre (Capitol Theatre) from approximately 9:30 p.m. to midnight. It’s the perfect setting to bid a fond farewell to Prima Ballerina Christiana Bennett, who’s retiring after 16 years with the company. This after-hours event will feature food, fun and musical entertainment under the night sky, as well as amazing rooftop views of downtown Salt Lake. Tickets are $100, with all proceeds directly supporting Ballet West, and are limited to the first 275 guests. Tickets to either of these Saturday night events can be purchased here.